Below are some of our client projects we've been involved with. www.notefiction.com  A Social Network of fiction writers and literature enthusiasts. Aspiring writers and accomplished writers gather and co-op on fiction of all types from Romance to Horror and everything in between. The two twists that makes this concept unique and very novel is the limiting length defining a "chapter" for each of the author AND if for each "chapter" there can be infinite versions that the story can take on! Only 1 will be the de factor top version it's determined by the reading audience who get to Rate the "chapters"! www.POIRUS.com  A Better Way to plan your next road trip. Allow Users to visually see all relevant Poin of Interests (POIs) along the way to their destination and check out coupon discounts and other promotions for those POIs. For Business owners the application allows the ability to put their business(es) in front of very targeted audience who will travel past your place of business. And, with the ability to create instant coupon offering discounts to those travelers on demand. 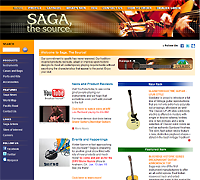 www.sagamusic.com  The premiere web site for string musical instruments. Users can find the latest offerings thru this site and find the nearest dealers that carry their instruments. 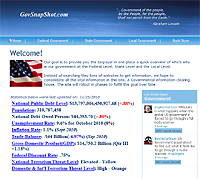 www.govsnapshot.com  A Government Information portal with vital statistics and a visual presentation of the US Government Branches. Also list the current list of personnel in House of Representatives, the Senate. Features being added to enable users to leave a comment to their Congressmen. 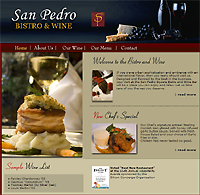 www.spsBistroWineBar.com  An upscale restaurant in Downtown San Jose, CA. With its diverse and dynamic Menu the restaurant is fast becoming the place to visit in San Jose. 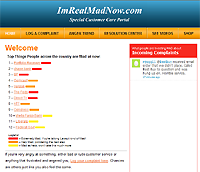 www.imrealmadnow.com  A Consumer Complaint portal with a small twist. Offers Logging of Complaints, See Complaint Trends and a touch of humor thrown in. www.ChefMeOut.com  Marketplace for Professional Chefs & Home Chefs to post their prepared food items for sharing with others and allow users who don't want to cook to search for their favorite food types and book them! Recent feature added the ability to Book A Chef and view their availability calendar.